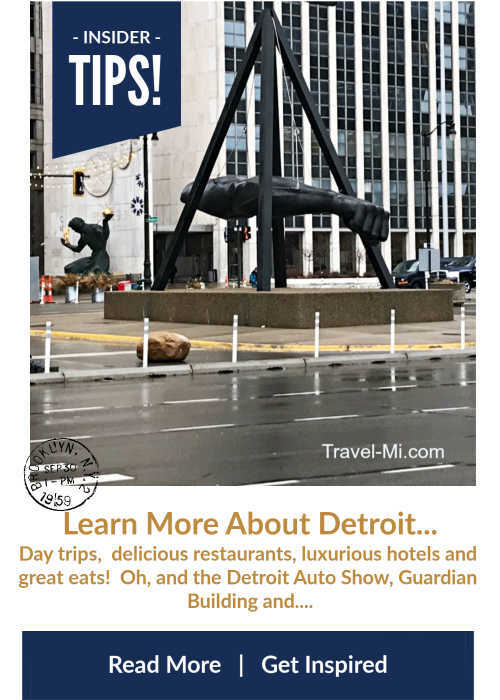 The 2019 Detroit Auto Show-It's more than a car show, it's entertainment for the whole family! All terrain vehicle rides, fudge shops, VR experiences and concept vehicles! Plus we have lots of in-the-know tips you should know before you go. Be sure to visit Toyota as they are right up there in the interactive fun department. Don a pair of VR goggles and go on a 3D ride-along! We loved looking all around the inside of Toyota's new tiny concept vehicles with VR goggles! Chevrolet also has an exciting experience with VR goggles! Don't miss out!! Just a few steps away Toyota offered show goers one heck of an experience. 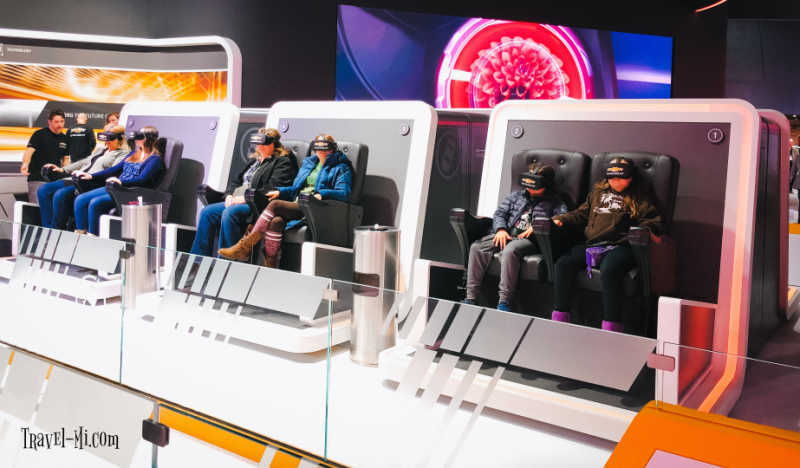 Simply climb into a spider-looking racing simulator, strap in and prepare to be the next top racer as the simulator weaves and bobs like a sci-fi movie. It was definitely a hit with show goers! 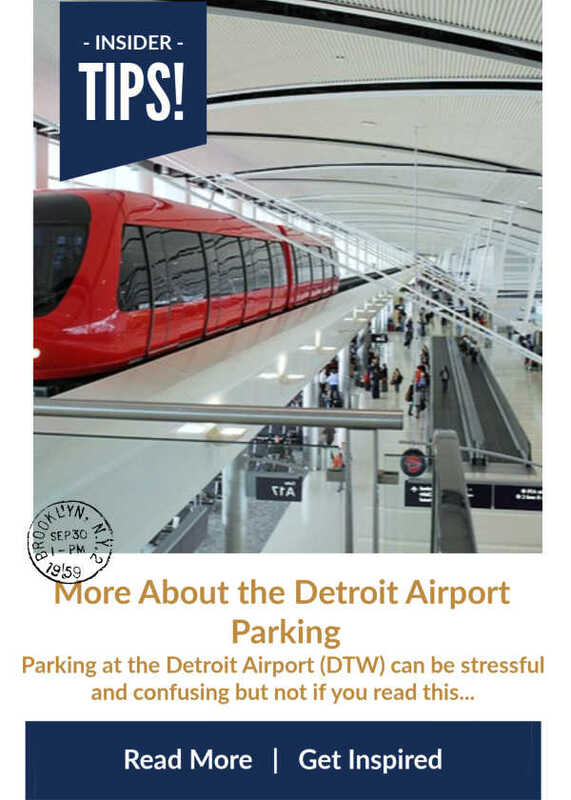 Utilize the Detroit People Mover right from the Auto Show (Cobo) to get to Greektown, the Renaissance hotel and more! It's only 75 cents per person each direction! There is a machine for tokens right next to the entrance to the People Mover. We recommend showing up EARLY as the show is packed by noon. There is already a line at 9:00 a.m. but you will enjoy the show more without the insane crowds by 2:00 p.m. There are lots of restrooms at the show. Coat check is available for $4 per coat...have cash. Right next to the coat check is a shop that has breakfast, drinks and lunch items. Lots of places to purchase water, snacks and drinks inside the autoshow. Plan to spend about 3 hours at the show so you can enjoy it all. A Truck Made With Legos....WHAAAT? 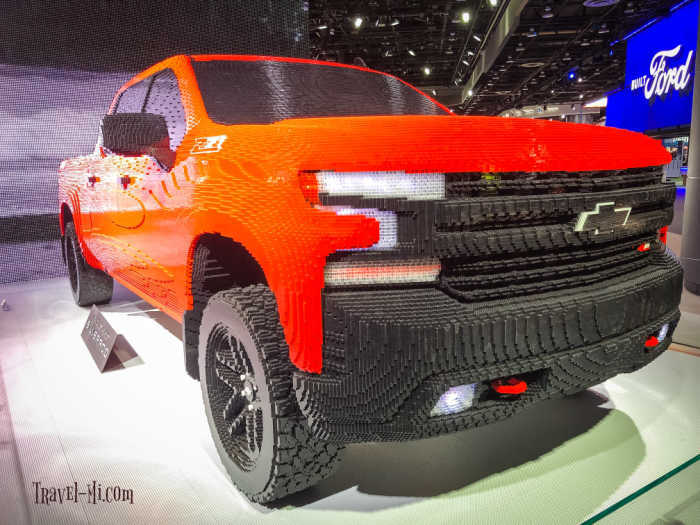 This Chevy Silverado is made with legos! Seriously, how cool is that? It's definitely something you don't want to miss at the 2019 Detroit Auto Show. Detroit Auto Show Date Change for 2020! 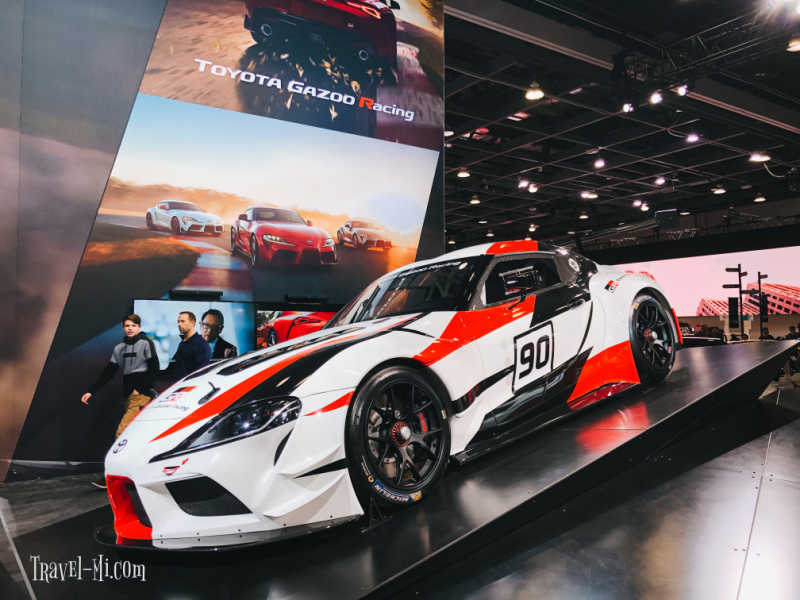 "The North American International Auto Show (NAIAS) announced that starting in 2020 the show would make a transformational move to June and will start the week of June 8th. 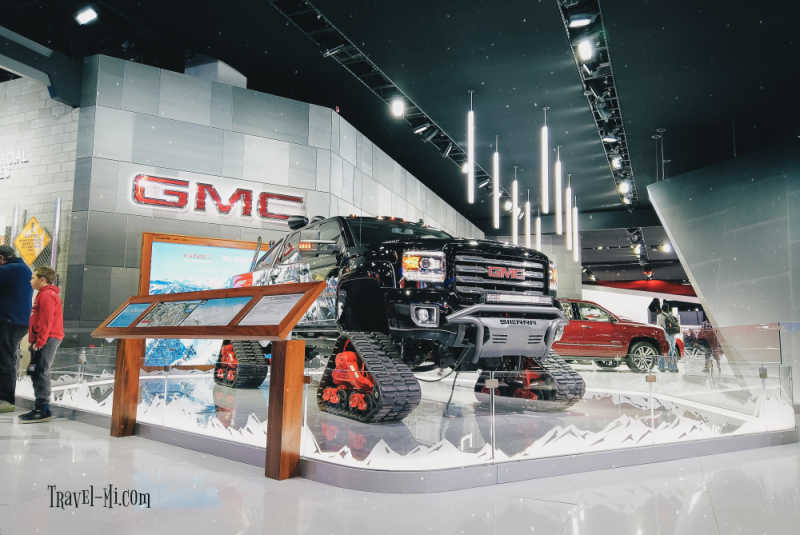 The ability for participating brands to deliver dynamic exhibits and experiential opportunities outside of the show’s four walls for attending journalists, industry members and consumers, will provide new avenues to showcase the products and technologies on display." Whoot!! I for one, am simply thrilled that the Auto Show will be in the summer months. I'm tired of slogging through ice and snow to attend the show. But we are hard-core and would do it anyway! In my opinion, this will be so much more fun for show goers as I'm betting there will be test tracks for interested vehicle buyers to try out vehicles right then and there. 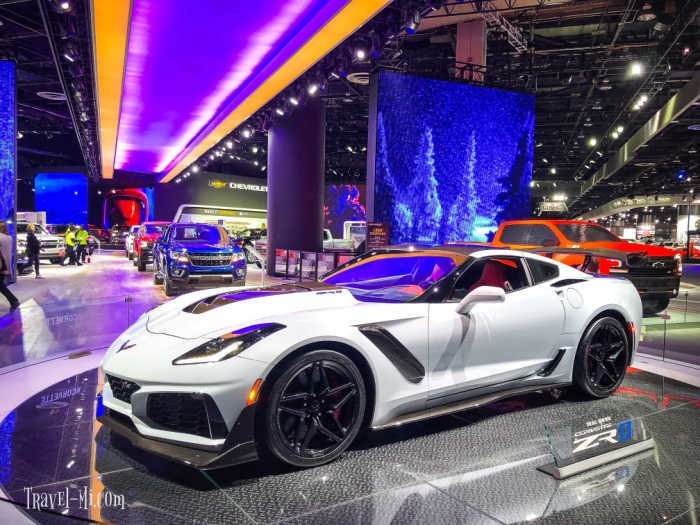 For more information on the 2020 North American International Auto Show, click here! Do you have accessibility needs? 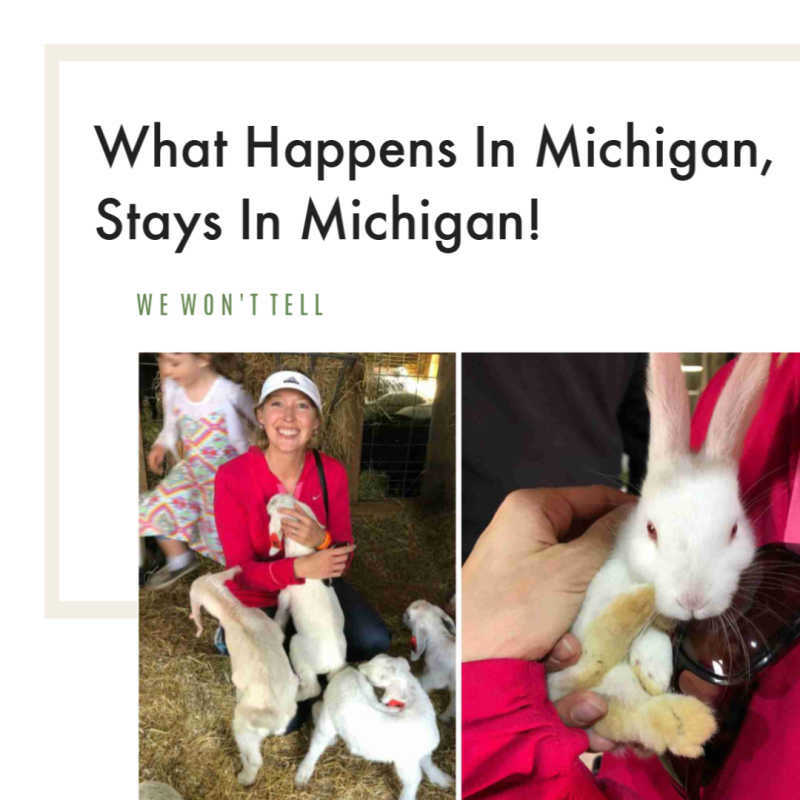 This trip we had a wheelchair (snowmobiling mishap!) so we learned a lot about accessibility challenges. Handicap access starts at 8:00 am. This is an outstanding perk. So be sure to arrive early so you have a chance to see the show before it becomes flooded with people. We found this invaluable. You can rent motorized mobility chairs for $35. No need to push a wheelchair around! We stayed at the Renaissance Hotel because you can take the Detroit People Mover to Cobo. No need to move your vehicle! Uber-you can easily get around the city with Uber, just be sure to request the XL vehicle. If you choose to push a wheelchair, know that most of the hall is carpeting and it gets very hard to push through the displays if the carpet is thick. 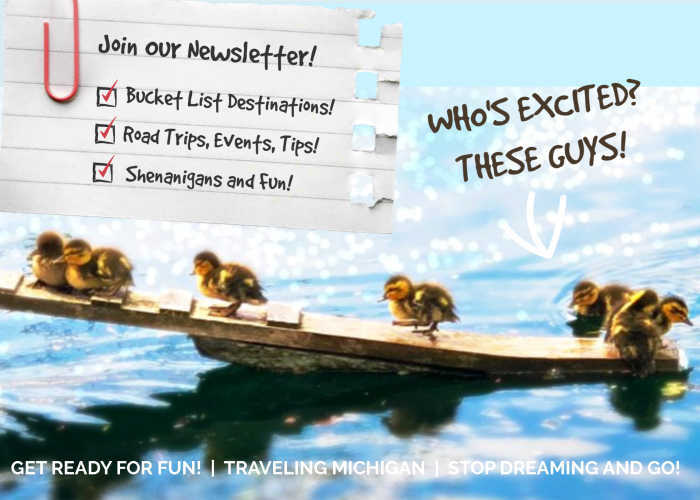 Please Subscribe To Our Newsletter!! What Was Your Favorite Vehicle at the Show? Share Your Pics! Did you have a great experience? Share it!